Midlands Connect explores, develops and recommends transport projects which will provide the biggest possible economic and social benefits for the Midlands and the rest of the UK. By securing Midlands transport projects which work for the nation, and ensuring national transport initiatives work for the region's economy, we can get a better transport deal to power the Midlands Engine. Explore the map to discover what's happening in your area. The Midlands Rail Hub is our flagship plan to future-proof the Midlands' rail network for generations to come and bring the East and West Midlands closer together. We're proposing 24 additional passenger trains per hour and 36 extra freight paths. The A46 is one of the country's most important trade routes, but it's not always doing its job. Businesses along the A46 corridor earn £115 billion for the UK economy each year; almost half the total comes from industries dependent on an efficient road network, like logistics, advanced manufacturing and agri-food. The first stage of our long-term strategy to improve the road was released in November 2018, with more detailed recommendations due in 2019. The new East Midlands Hub Station at Toton will transform connectivity between the East Midlands, Birmingham, London, Yorkshire, the North East and Scotland. We are working to secure fast and efficient local links to the new station and accelerate its delivery to bring forward growth. Growth and regeneration around HS2's dedicated stations in the Midlands is already happening, but how do we make sure these benefits are felt across the region? Through our Midlands Rail Hub proposals, work to accelerate the East Midlands Hub at Toton and by making the most of conventional-compatible HS2 trains, we can maximise the benefits as far and wide as possible. The British economy depends on a resilient, reliable Midlands Motorway Hub; but congestion is costing the region billions of pounds every year. Our 10 recommendations to improve the Hub can get the region moving more quickly, unlocking jobs and housing. A region-wide move to smart ticketing can ensure we are putting the passenger first. The technology needed to make it a reality is already transforming the way people pay for and gain access to public transport. The Government is consulting on creating a new Major Road Network (MRN) to identify and fund improvements to regionally significant 'A' roads that are not part of the current Strategic Road Network. Working with partners to reach a pan-regional consensus on what should constitute the Midlands' MRN, we're preparing a 15-20 year programme of scheme development and delivery so we're prepared with shovel-ready schemes when any extra government funding becomes available. The A5 could become a crucial East-West corridor across the Midlands, supporting job and housing growth. Our initial study, focusing on the section between the M6 J12 and M1 J18, is due to be published in 2018, focusing on a series of transport improvements to accelerate growth in the corridor and the region. The A50 and A500 offer essential links between the M1 in the east and M6 in the west, with major employers based along the corridor. We're carrying out a study of the economic benefits of potential improvements to determine the case for investment. Herefordshire Council has chosen a preferred route for the Hereford Bypass, which is being taken forward for further consultation and scheme development in 2018. We're working with the Marches LEP to assist them and the Welsh Government with identifying their future connectivity needs and developing cross-border links to ensure existing and future demand can be met. A strategy for connectivity between the Midlands and Mid-Wales will be published in spring 2019, building on a joint freight strategy launched in March 2018. 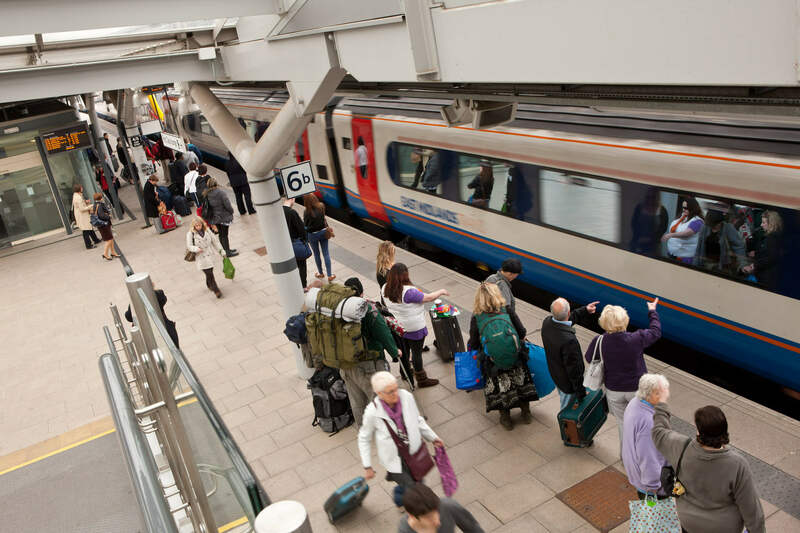 Beyond the Midlands Rail Hub, Midlands Connect is working on making the case for improvements to rail links between Derby and Crewe via Stoke, Lincoln and Nottingham via Newark, connections to Birmingham Airport from the Thames Valley and East Midlands, and Shrewsbury and Crewe. Midlands Connect’s landmark strategy identified four economic hubs and six intensive growth corridors, pictured in this map. Each of our priority projects focuses on developing better connectivity within these hubs, between the hubs and from the hubs towards neighbouring markets and international gateways, to support economic growth. This simple idea is the foundation on which our more detailed development work is now building.